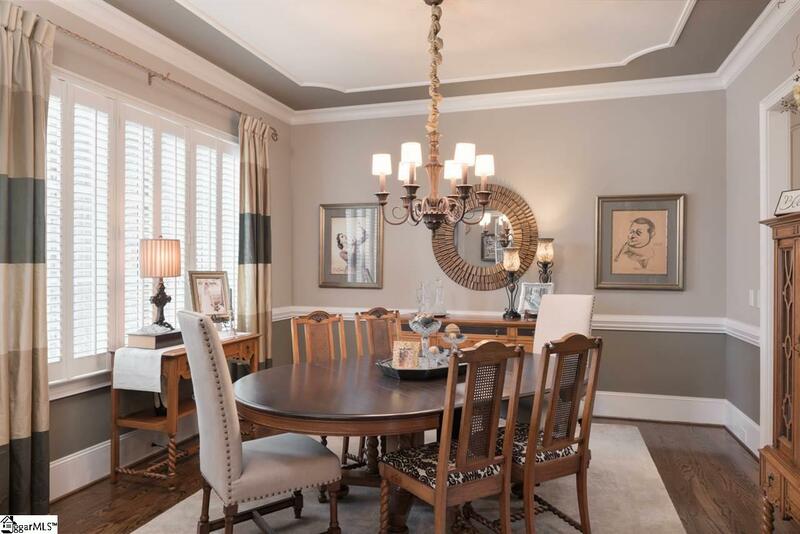 GORGEOUS home in sought after Claremont built by Galloway Custom Homes. 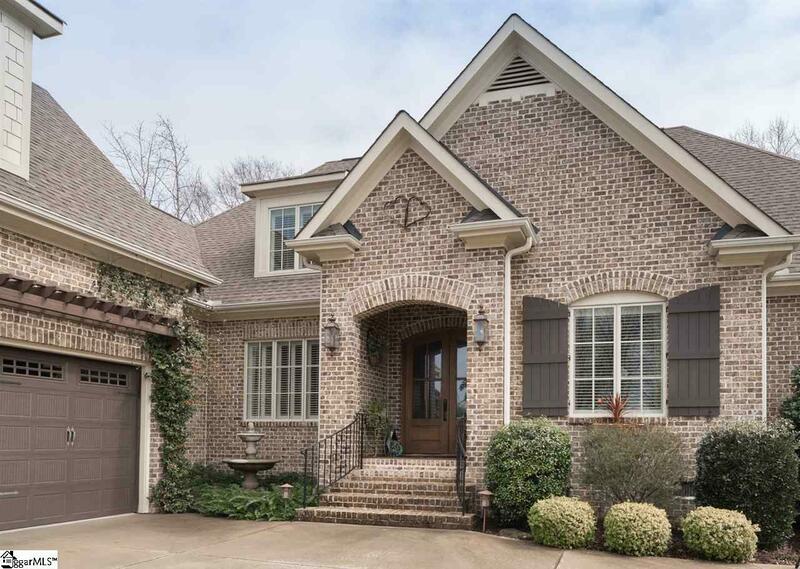 This brick home features 4 Bedrooms & 4 baths. Quality craftsmanship and luxurious finishes throughout. 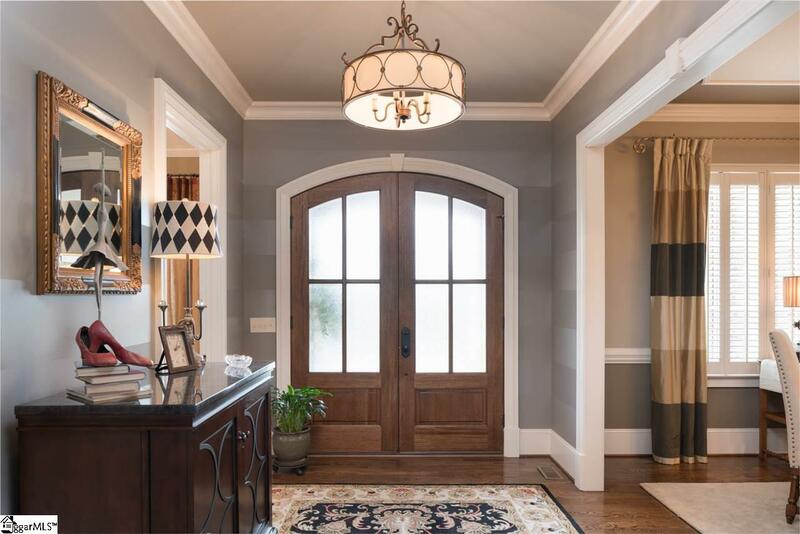 An elegant foyer with gleaming hardwood floors is centered between the formal dining room and first floor office. The office has an amazing vaulted ceiling that is topped with brick accent and heavy molding. The great room features a gas fireplace with a dramatic coffered ceiling, built-ins surrounding the fireplace and french doors leading to the enclosed sun room. You will be drawn into the sunroom that has a stunning extra wide floor to ceiling stone fireplace with custom built mantel and raised hearth. Enjoy the amazing views of the beautiful and private back yard, cascading waterfall pond and patio from the sunroom. The great room also opens to the gourmet kitchen that has stainless steel appliances with cook top hood, walk-in pantry, granite countertops with ceramic and mosaic tile backsplash, custom cabinetry and and a huge center island. The kitchen also features a large breakfast room with a sunny expanse of windows overlooking the yard. The master suite is on the main level and it has a private full bath with an amazing walk-in frameless tile shower, separate jetted tub, raised height granite vanities, and tile floors. The walk-in California type closet is huge. There is an additional 1st floor bedroom that can be used as a guest or in-law suite. Upstairs, there are 2 additional bedrooms, 2 full baths, recreation room AND bonus room. Separate staircases are used for the two upstairs living spaces allowing for extra privacy and flexibility. Tons of storage in the walk in attic space! (There is also pull down attic access) You will enjoy the private back yard with stone paver patio, arbor with stacked stone columns, fire pit and pond. 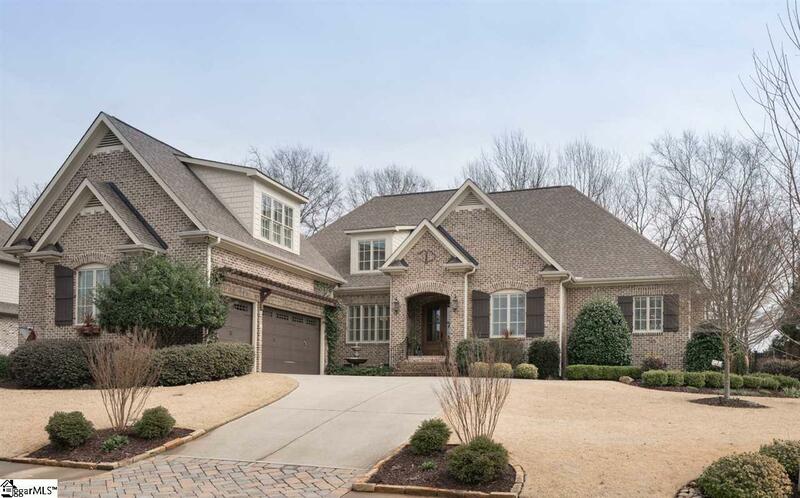 This home has it all including a 3 car garage and central vacuum. Great opportunity to live in CLAREMONT! This gated community has all you have dreamed and more than you ever imagined. Amenities include resort style pool, peaceful nature trails, community park, plus an upscale clubhouse complete with stone terrace, covered porches, outdoor grilling area & fire pit for entertaining. Schools include the award winning Oakview Elementary, Beck Academy and JL Mann High. This location can not be beat!